Rubber Room Ramblings: THE REST OF THE BASKET! 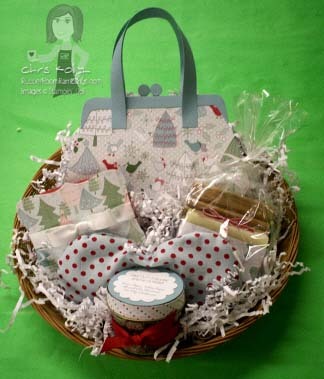 Here is the second half of my "pamper yourself" basket! This is a bar of handmade lavender soap that makes my skin feel so smoothy and silky! Hubby and kids don't touch this one! 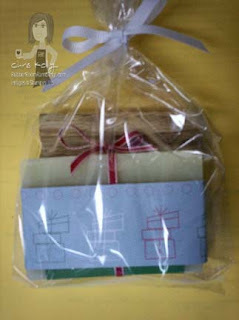 I wrapped it with some Designer Series Paper, a little 3/8" taffeta ribbon and included a little soap tray. 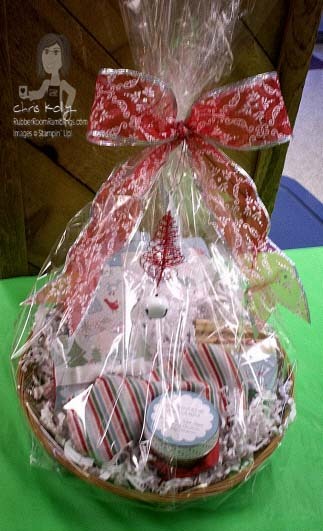 After everything is all wrapped up and pretty, I put it into a basket; like this! Then I wrap the basket all up in a cozy bag and add a bow and ornament and here is what the basket looks like all wrapped up and ready for gift giving!